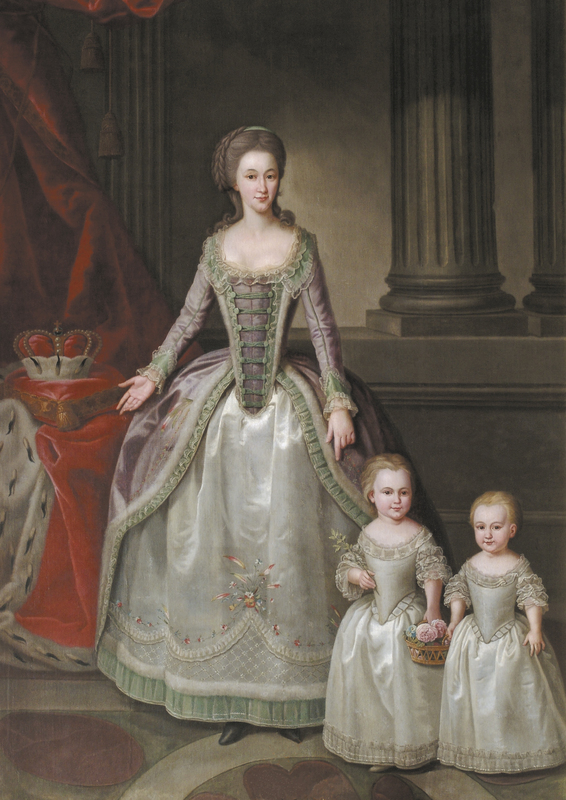 Portrait of Dorothea, the Duchess of Courland and her daughters Wilhelmine and Pauline, Princesses of Courland, painted by F.H. Barisien , 1784. The aim of the project was to create a replica of late 18th century style gown from the state portrait of the Duchess of Courland. Since the only source was the original 18th century portrait from exposition of Rundale Palace, executors of the project ‘read’ fabrics and decorative techniques from the portrait. In the result of analysis the dress could be described as follows: The purple silk taffeta gown with long sleeves has hooked closure at front with green buttons and matching collar and cuffs. 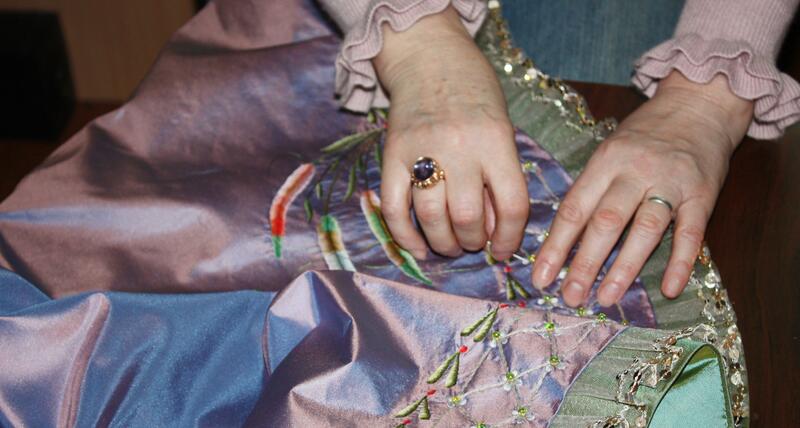 Skirt sides are decorated by embroidery of colourful feathers’ bouquets. Petticoat of light grey satin is adorned by embroidery of floral festoons and bouquets of flowers and fantasy feathers in satin stitch. Lover part of petticoat has treillage decoration with sewn on pearls. Tulle ruffles with metallic spangles are repeated trough-out edges of the dress. 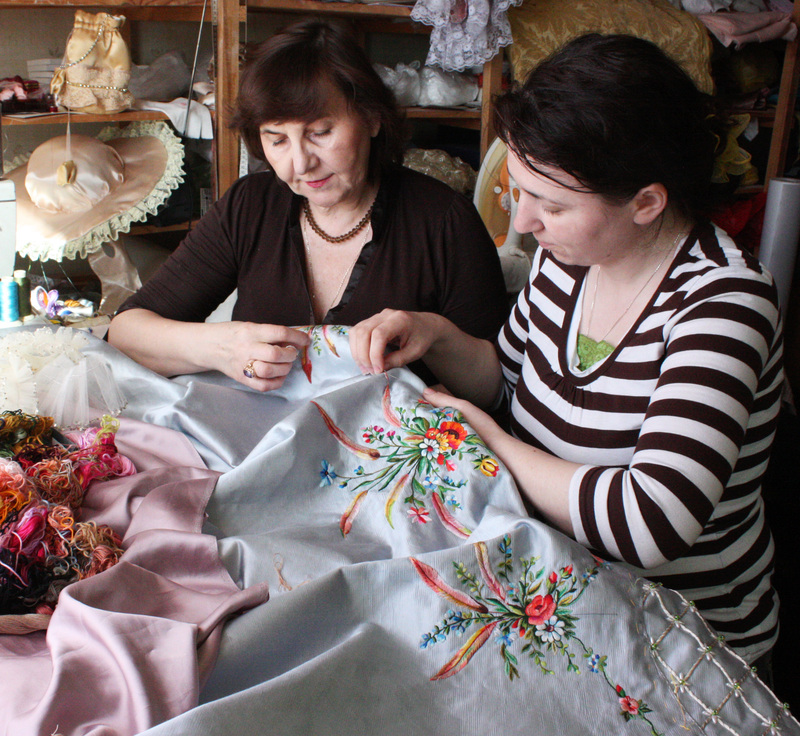 Below you can find the process of handwork captured in photos. Embroidery process of side panels of the gown. 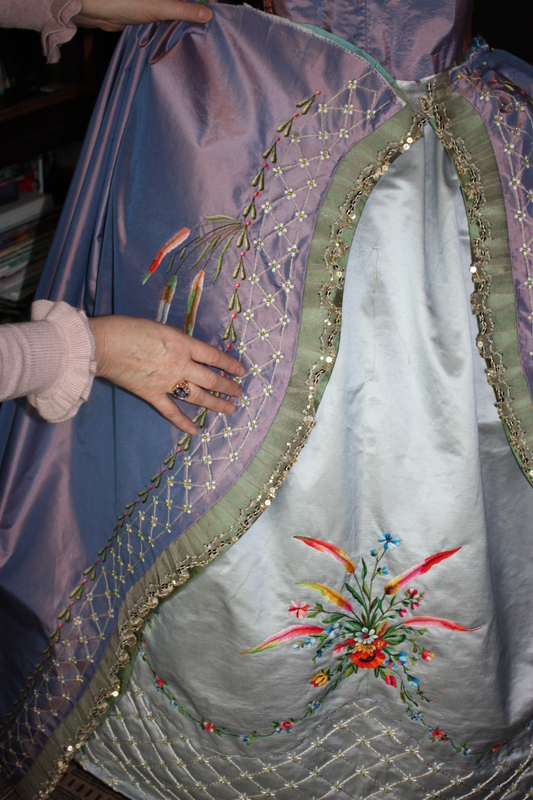 Attaching details of the gown, closer view of embroidery.